Robert graduated from Cambridge University in French and German literature, before studying further at the College of Law in York. He qualified as a solicitor in 2000 and worked at DLA Piper for five years in Leeds, undertook yet more studying and passed his Joint Insolvency Examination Board exams in 2004. 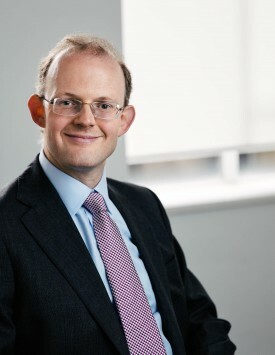 He moved to London in 2006 and joined Lawrence Graham (now Gowling WLG) where he became a partner in 2013. He has been a licensed insolvency practitioner since 2006. Robert recently joined Moon Beever in June 2018. He has significant experience of all aspects of corporate and partnership restructuring, and regularly acts for administrators, LPA receivers and liquidators. He also helps lenders, funds and family offices on how to protect their exposure, and advises boards of directors in financially distressed situations. In 2016 Robert enjoyed a part time secondment in the Policy Unit of the Insolvency Service at the Department of Business, Energy and Industrial Strategy, consulting with the wider industry in relation to the Government’s review of the Corporate Insolvency Framework. Despite being primarily a non-contentious lawyer, Robert has had several reported cases in the High Court, and has twice won appeals for clients in the Court of Appeal. Robert is a member of R3, the IPA and the Association of Property and Fixed Charge Receivers, and often speaks at restructuring and insolvency conferences. He is married with a young daughter. Essex and London law firm Moon Beever have been appointed to Greenfield Housing’s legal services framework (GREEN0470).